Host an event your way at The Hivery! The Hivery offers beautiful space that caters to all kinds of experiences. Are you looking for a stunning space to host your corporate offsite, board meeting, focus group, photo shoot, team-building, info session, workshop, or trunk show? Your clients, colleagues, and potential customers will be in awe when they see the stunning Hivery decor. The possibilities for renting space are endless. 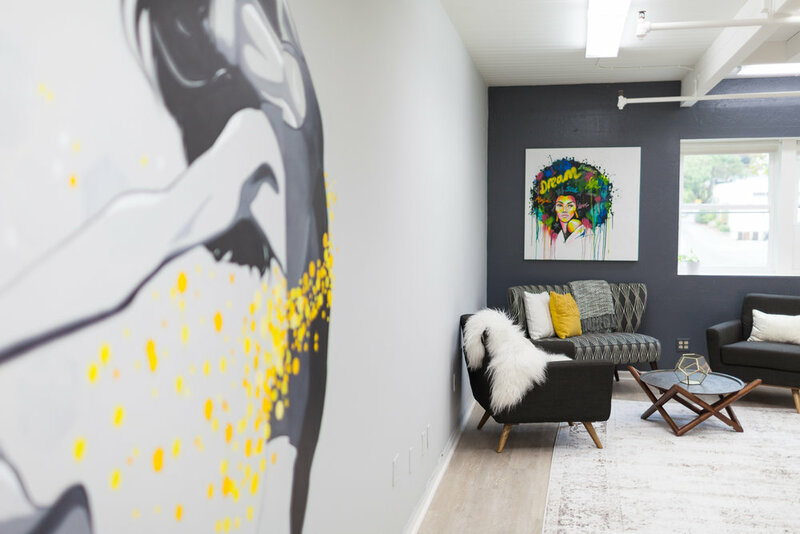 We have two options for renting our gorgeous space in Mill Valley: During the week, you can rent our stunning 1,100 sq foot Empowerment Studio. 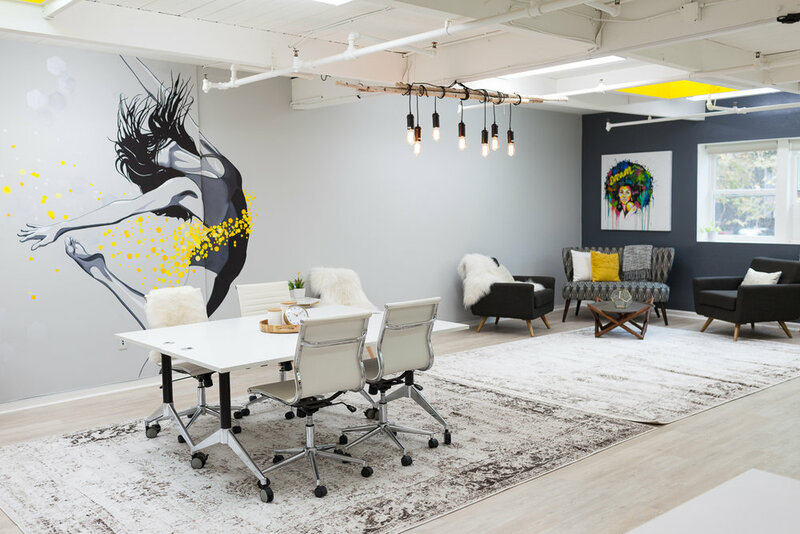 On Friday evenings and weekends, you can rent our award-winning (voted Best Office Space in the United States and Canada by Wayfair!) 3,000 sq foot main space, including the kitchenette, atrium, five conference rooms (perfect for breakout sessions), and our beautiful decor. 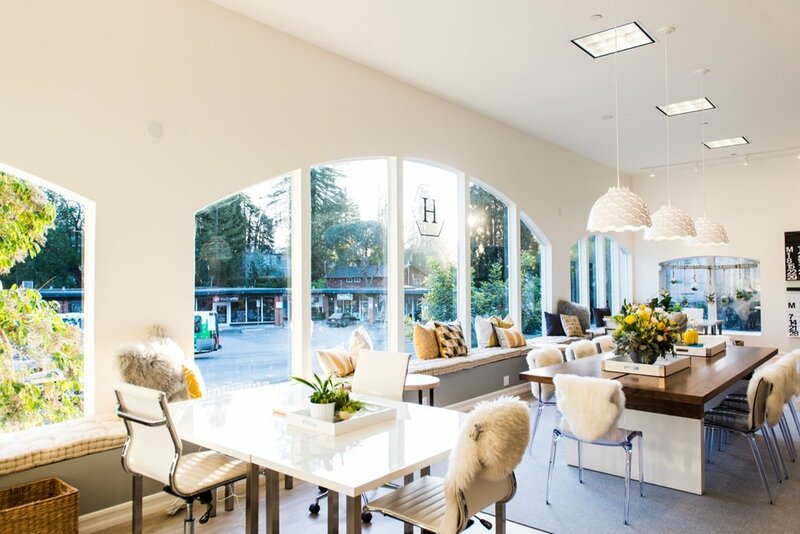 This is the stylish and creative event space you are looking for, and we are located right in the heart of downtown Mill Valley, in walking distance to restaurants, coffee shops, hotels and stunning walking trails. Weekdays: Available Mondays, Tuesdays, Wednesdays and Fridays from 9:00 am – 9:00 pm. NOTE: The maximum capacity for the Empowerment Studio (1,050 sq. ft) is 30 people seated and 40 people standing. Totally Instagram-worthy! Your Pinterest board will be proud! 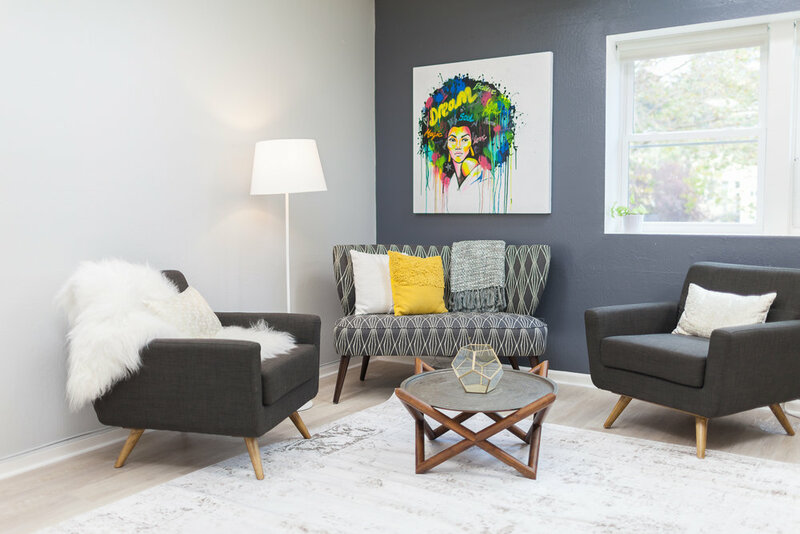 Location is right in the heart of charming and artsy Mill Valley. You will be near great restaurants, hiking trails, hip boutiques, theaters, and the new Mill Valley Lumberyard. The space's capacity is 30 seated and approximately 40 standing room. All furniture is flexible in layout (most of it is on wheels so you can set up exactly as you wish!) and can be set up boardroom style, training style, standing, creative showcase, etc. The space is on the second floor, and can be accessed by stairs or via elevator. 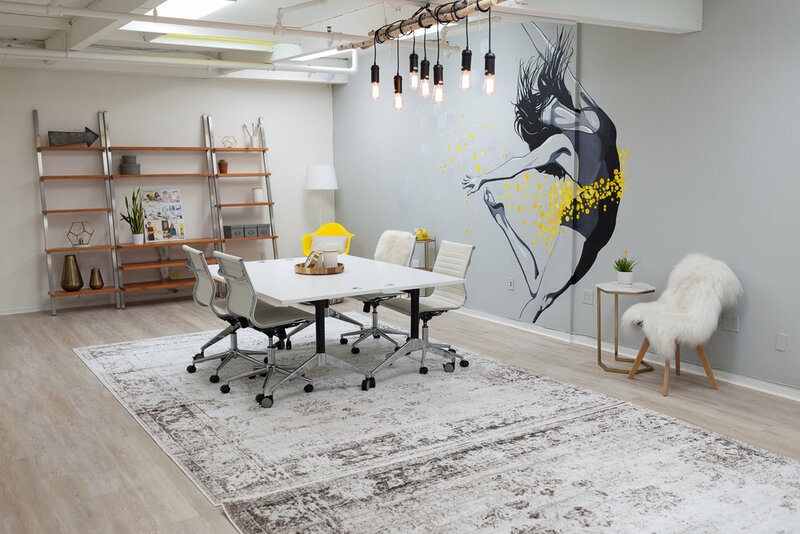 This inspiring space is a perfect location for your business needs. We are also close to many hotels for your guests. And, we have tons of parking on site as well as easy access for Lyft. Let us know if you need our help with catering your event! Are you looking for a stunning space to host your corporate offsite, board meeting, book launch, focus group, fundraiser, photo shoot, team-building, info session, workshop, or trunk show? 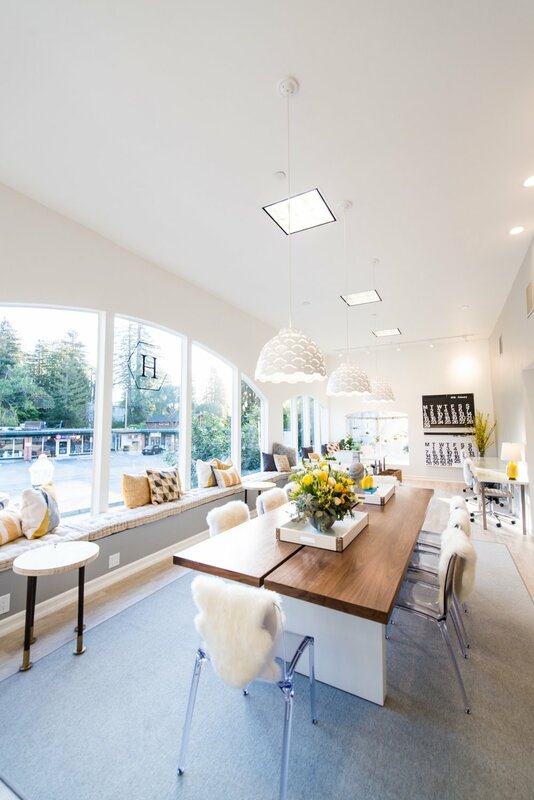 Right in the heart of downtown Mill Valley, with restaurants, walking trails, and parking abound. 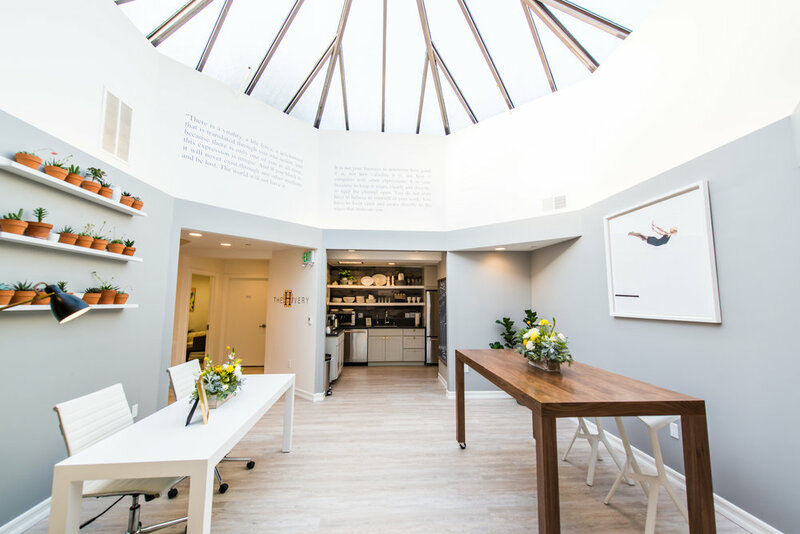 In addition to a lovely, light-filled open space, it also includes a light-filled atrium, kitchenette, large creative studio, and four meeting rooms. The space's capacity is 60 seated and approximately 80 standing room. All furniture is flexible in layout (most of it is on wheels so you can set up exactly as you wish!) and can be set up boardroom style, training style, standing, creative showcase, etc. The space is on the second floor, and can be accessed by stairs or via elevator. This inspiring space is a perfect location for your business needs. We are also close to many hotels for your guests. And, we have tons of parking on site as well as easy access for Lyft. Note that members can hold a mini-workshop by reserving the Inspiration Lab for up to 2-hours (maximum) during business hours (Mon-Fri 8:30 am-6 pm). This room seats up to seven, and is a PERFECT way to try out your latest workshop. Meeting room time is included in our co-working membership and available at a discounted rate for community members. If you want to TRY out that workshop idea before you invest in renting The Hivery, this is the way to do it! 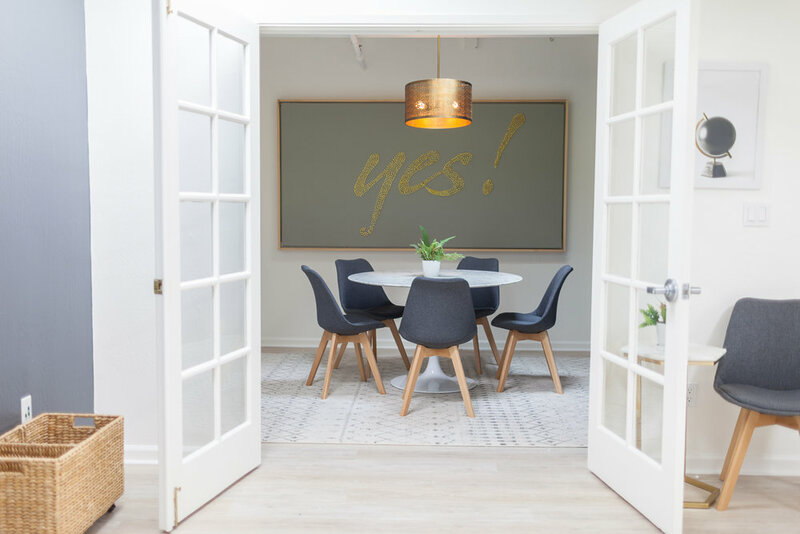 You will be responsible for marketing your workshop to the community and beyond, which is a great opportunity to strengthen your marketing muscles. This option is only available for Hivery members, so it’s the perfect reason to join us!